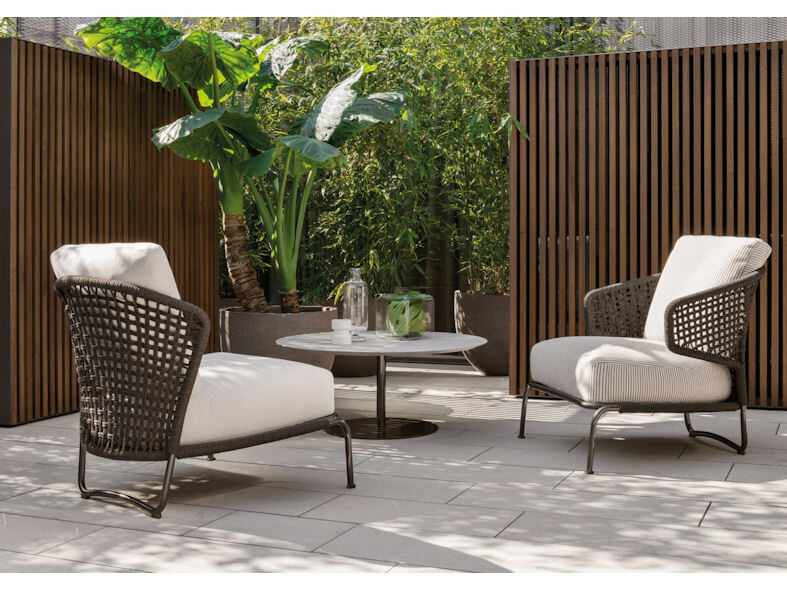 The Aston ‘Cord’ Outdoor collection is a chic family of individual armchairs, poufs, sofa, chairs and daybed. 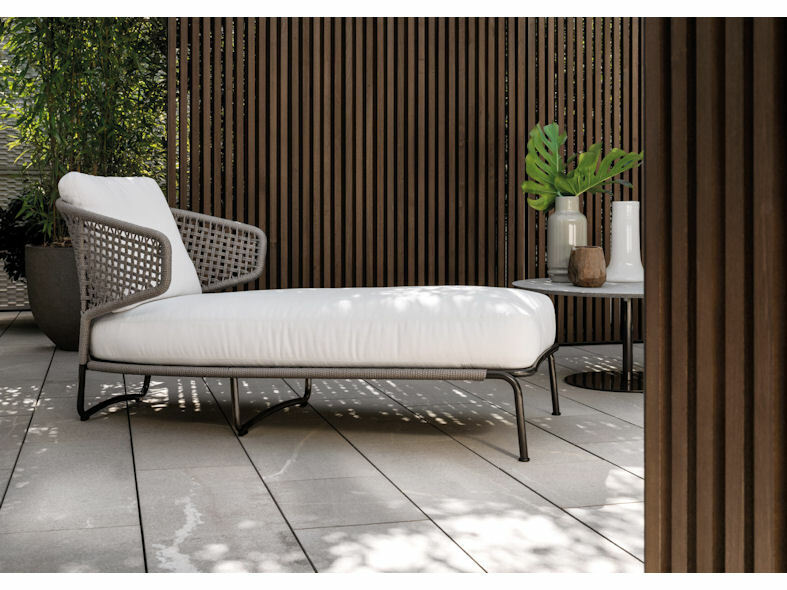 All items are custom-made to dress the home or outside spaces bringing elegance and style whilst continuing to allow the busy hub of conversation between indoors and outdoors. 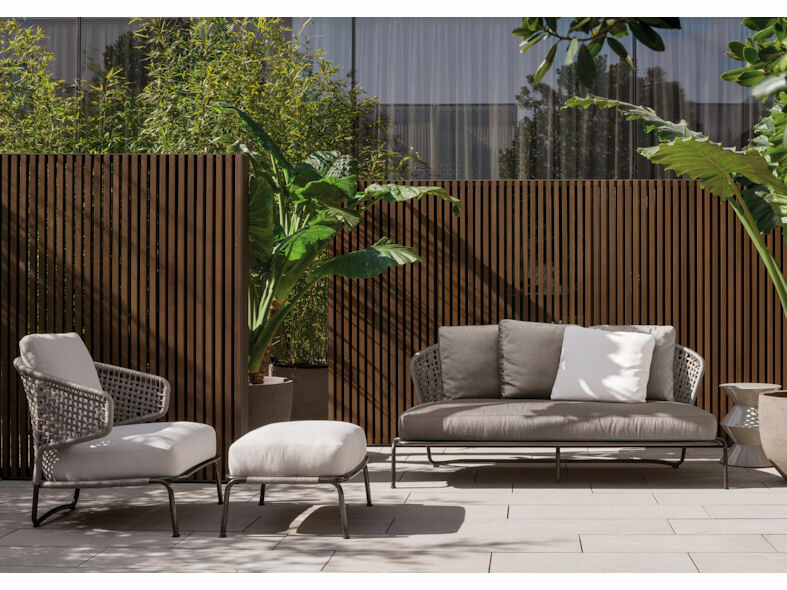 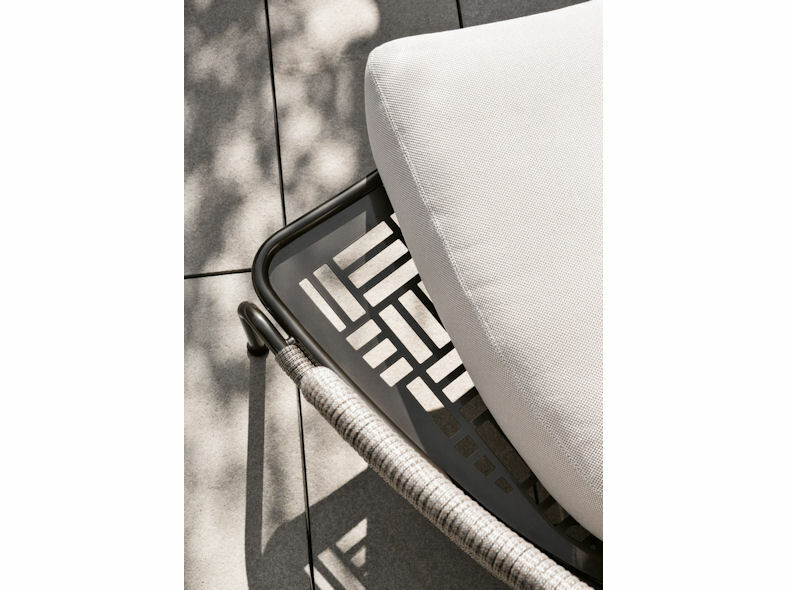 As with all Minotti furnishings, the Aston 'Cord' Outdoor furniture collection comes with a pewter colour polyester-painted metal frame which is specially treated for exterior use along with the padded-cushions which are covered in a waterproof fabric. 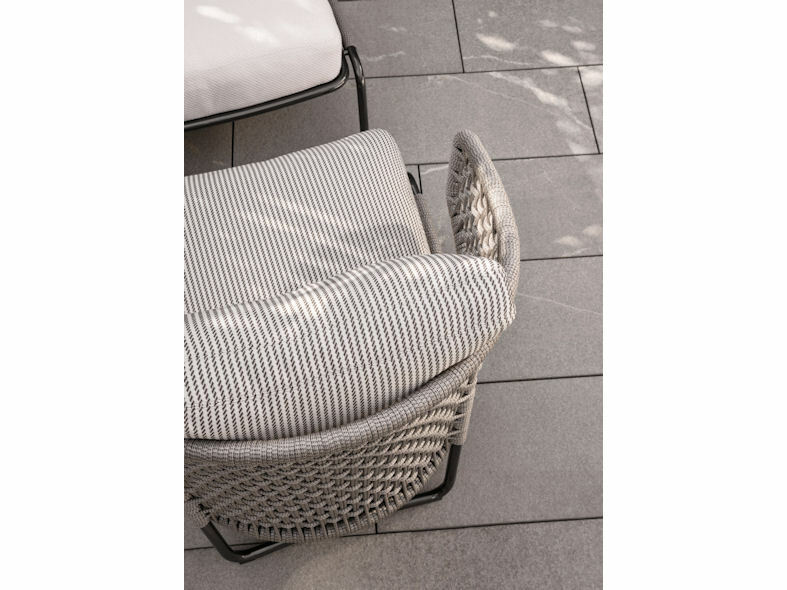 The seat cushions are available in either dark brown or light grey polypropylene cord which blend perfectly into the natural surroundings of outdoor living.